Oh, god, this is depressing. There's a new film coming out about genuine powerpop god Emitt Rhodes, and the man himself surfaced at a screening in Los Angeles last week. Saw the documentary One Man Beatles: Something About Emitt Rhodes tonight. Skip it if you ever want to enjoy the music again. Emitt and two bandmates were there for Q&A. Avoid that, if you have sharp objects in the house. We all left wounded. 35 years of moping in a grim ranch house in Hawthorne, CA has not been good for him. Five pounds short of Kevin Smith, he reluctantly trundled on stage clutching a 16-ounce beer in a paper bag. He responded to questions slowly and painfully with short, sour sentences. The other two musicians, a former Grass Root and Leave, were chipper and tried for fun. But Rhodes cannot experience such a thing. The film answers very few questions and just leaves you cranky and soiled. The article below will fill you in. I don't think I will be slapping "Fresh As A Daisy" on anytime soon. As they say, you shouldn't have been there. I can't seem to find a working link to the 2004 article Eric mentions, by writer Erik Himmelsbach, which ran in the now defunct LA paper City Beat. But if you really want to get bummed, here's the opening two paragraphs. It gets worse from there, if you can believe it. Seriously, I'm finding it very difficult to reconcile the fact that the man described in those two paragraphs once actually wrote and sang the profoundly uplifting song above. Suddenly Brian Wilson seems the poster boy for mental health! John Forgerty also. He was involved in three exceptional albums (Merry-Go-Round, the "Fresh as a Daisy" album, and American Dream), then ... He lost it with the Mirror album. As a keen follower of his work so far, I was stunned when Mirror came out. It was pure mediocrity. Only Birthday Lady was listenable. What had happened? Then I read an interview where he was complaining that everyone compared him to Paul McCartney. He, for his part, felt he was more inspired by James Taylor, and went on to say something like, "Yeah, James Taylor. He's my real hero." And I knew that Rhodes' streak of greatness was over. He no longer wanted to be the kind of great pop artist he was, and craved acceptance as a moody, singer-songwriter. I suspect that a lot of his depression and contempt for his audience now is based on the fact that -- in his heart -- he doesn't like his peerless pop work, and feels like he should be more appreciated for his glum stuff. Faze: As a keen follower of his work, you should know that Rhodes didn't jump from that ledge; he was pushed...by incredibly bad management and a ridiculous recording contract with ABC/Dunhill that required him to work nonstop over several years to meet his commitments. His cynicism now may be understandable, but all the more the shame. I received a similar, equally depressing, report from a friend who attended. (He left early because it was too painful to watch.) Emitt did a radio interview earlier this year which is available on a WFMU podcast (Michael Shelley 2/13/10). After listening (painful), I can't say that what happened to him is entirely the fault of a record company's -there may very well have been some other serious issues contributing As with Syd B., Skip S. etc., I suspect the truth lies somewhere in the middle. I've listened to the WFMU interview and read the full City Beat article and it is clear that Emitt has a lot of issues. I've thought his story would make an interesting film - but a depressing one. So, is the film at least well done? He was supposedly working with a band last year and there were hopes of a revival. I guess there is no happy ending likely. Too bad - he had the goods. Hip-O released a box set of Emitt last year and those things usually sell out, so at least he has some income. in contrast, before Lala.com was absorbed by the borg last week i checked Dwight Tilley's page there and he's up around 50 releases and counting and i've never seen one of them. okay, so not every artist is mentally unbalanced but many are and it should come as no surprise to all you music followers out there. The musical brain is "different;" that's why accountants, copyright lawyers etc. always make more money than the folks who actually create the art. Emmitt Rhodes' life and experience is his and I'm not about to judge or comment on it but I'm sorry-I find MIRROR and FAREWELL TO PARADISE excellent albums,as effective as his self titled Dunhill debut. They are the sound of what happens when pain and darkness encroach on pop perfection. They are beautiful and cut deep. Emmitt Rhodes was very talented - 'Mirror' IS a fantastic album! It is too bad that he remained so bitter - and where is that damn movie?!!!! They could at least release it as DVD. I remember when I was in my seventeenth year. I too, was/am, a songwriter/performer. I had an A & R man sitting in a barbershop chair in front of me - he knew the barber as did I - I was asked to go get my music and show this guy...I had nothing prepared! You know 16, Then few doors down, I ended up working for a lady who also used to be an A & R person for Columbia Records (as was the other guy) - I went back home to St. Louis to put a band together - met a guy who used to be with Decca Records - nothing happened - but that was in my youth, I am still trying to get something going. The WORST thing, is to find SERIOUS -MINDED,TALENTED BANDMATES!!!!!!!!!! It is very difficult - which is why I, as, Emmitt, learned to everything by myself - I could not rely on anyone I had met. But, Emmitt, I wish could have pulled himself together and finished the album he was supposed to create recently. that one poster is so wrong-mirror is GREAT! 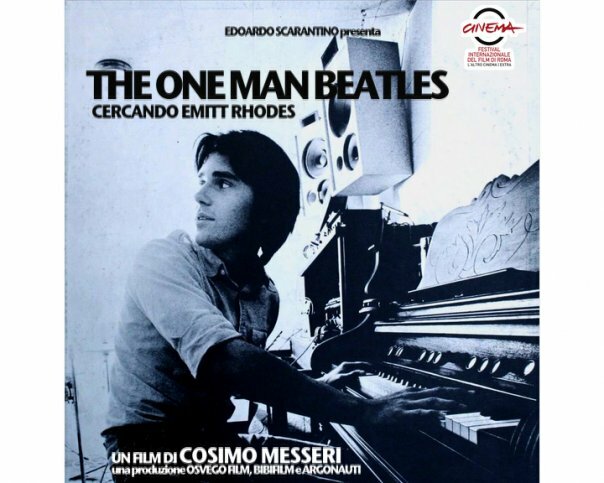 I believe Emitt Rhodes to be one of the most talented songwriters I've ever heard. The new album Rainbow Ends is superb too. He still has it!1 It is criminal that he and his music is not more well known. If he had been managed, supported and encouraged as he should have been, he and his music would be a lot more well known today.